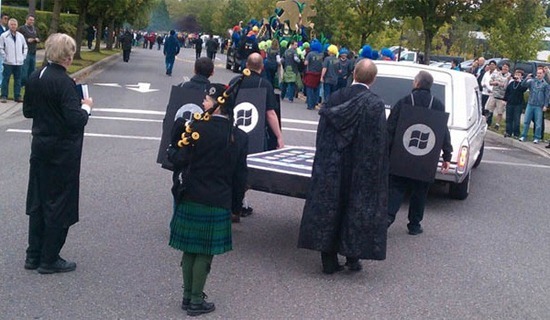 This is probably the most epic event we’ve seen so far by Microsoft ! 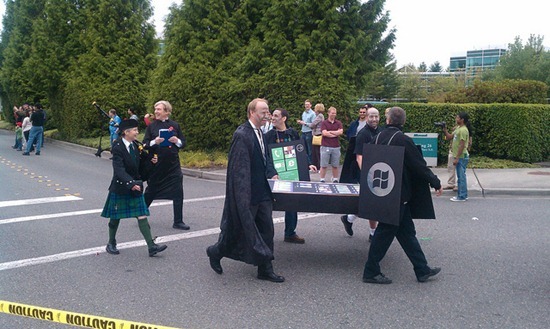 To celebrate the RTM (Release to Manufacturing) milestone of Windows Phone 7, Microsoft today arranged a special event to mark the funeral of both Apple’s iPhone and RIM’s BlackBerry. 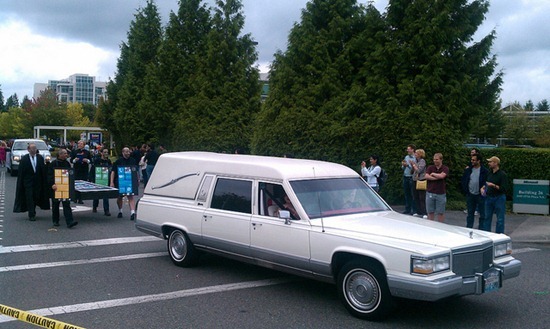 The event took place outside Microsoft’s Redmond campus last week, with employees dressed up in weird dresses, with the hearses of iPhone and BlackBerry. Looks like Microsoft is dead sure that Windows Phone 7 is going to change be a game changer for them, but iPhone has a strong user base, and it won’t die out that easily. However one platform which I want to see them beating is Google’s Android. Microsoft better not let their fans down this time, because if WP7 turns out to be a failure, then it is going to be game over for them. 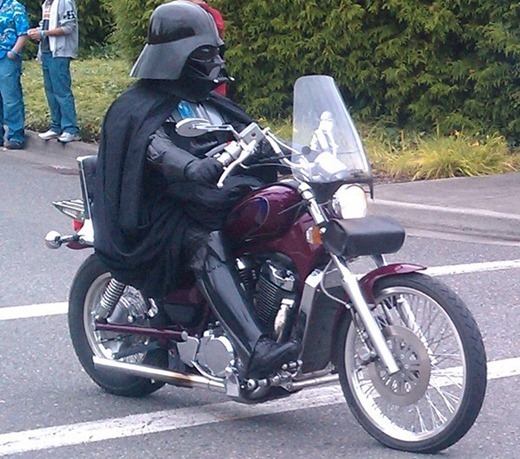 Oh and not to forget the beating that they are going to get for this whole funeral stunt thingy from the public. 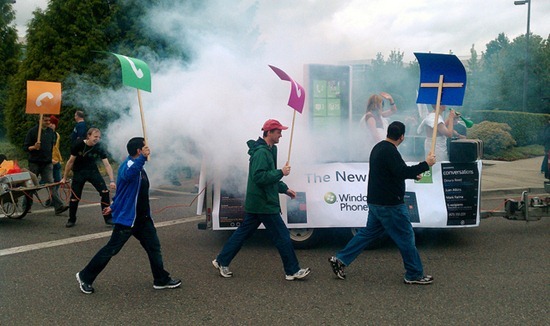 First of Windows Phone 7 devices are expected to launch sometime in October of this year! The official launch date is rumored to be around 18th of that month.